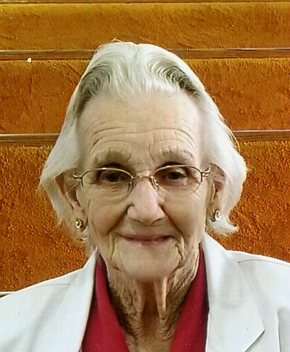 Polkton- Mrs. Lorena Napier Kirk, 89, went to be with the Lord on Saturday, February 9, 2019 at Hospice of Union County in Monroe. Services will be 2:00pm Sunday, February 10, 2019 by the graveside in Williams Cemetery with Rev. John Greene and Rev. George Senter officiating. The family will greet friends in the cemetery following service and other times at the home. Lorena was born August 21, 1929 in Anson County, NC a daughter of the late Norman Guy Napier and Zoneva Nathlee Martin Napier. She was a loving mother and faithful member of Polkton Baptist Church. Surviving are her children, Delores (Gordon) Rivers of Polkton and Freddie (Cherry) Kirk of Monroe; her grandchildren, Scott (Deana) Rivers of Polkton, Paula (George) Taylor of Polkton, Lt. Colonel Bryan (Kristen) Kirk of Tampa, FL, Michelle Sullivan of Monroe, Michael (Ashley) Kirk of Matthews and Laura (Jeremy) Brooks of Marshville; her great-grandchildren, Adisun Taylor, Trevor Rivers, Jessica Kirk, Madison Kirk, Nathanael Kirk, Bryanne Sullivan, Cade Sullivan, Logan Kirk, Noah Kirk, Hudson Kirk, Tanner Brooks, Elizabeth Brooks, Conner Brooks and Heidi Brooks. Also surviving are three sisters, Rose Baker, Ann Napier and Lula Dean Ange. In addition to her parents, she was preceded in death by her husband, Joe Fred Kirk; and her sister, Norma Gaddy Beachum. In lieu of flowers, memorials may be made to Polkton Baptist Church c/o building fund, P.O. Box 10, Polkton, NC 28135 or Williams Cemetery c/o Tom Bricker, 1135 Winfield Rd., Polkton, NC 28135.